A men’s pro-am basketball team in southern california looking for serious and hungry players. Room and money will be provided for players who make the team. I am not a agent and this is not a agency. This is for a team. Please only free agents no players with agents. 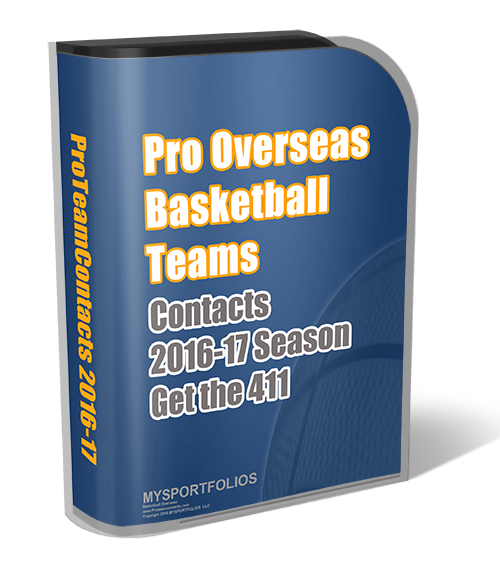 If you want an opportunity of getting pro exposure reply. Reply by email with your profile to confirm a spot. i’m looking to play in any pro -am right now i’m 6’4 point guard very good rebounder and a average shooter so i’m looking for some feed back thanks. At the present moment I attend Morgan State University. I am a 6’1 guard who runs 20 miles a week to stay in shape. I have great court vision and athletic ability. I’m a 6’1 combo guard I played college at Tarleton State in Texas. I was an All-American there my senior year. Right now I currently play for the Dallas Diesel basketball club but I’m looking to play somewhere with some pro-exposure. I’m really interested in this situation so If you would please email me back it will be grately appreciated. I’m a 6’5 guard/forward who can shoot very well , slash and defend even better. I’m a very athletic rebounder .I started 2 years at St.Joseph’s College and then when on to Curry where I finished. I’m very versatile and a smart player. I will do anything for this oppurtunitty. Ex junior college point guard out of the antelope valley. Very quick on defense and offense, can read the floor like true point guards are suppose to. Unselfish until I realize the team needs buckets. Very smart point man and will surprise who ever gives me a shot at life long dream. My name is Joe. Basketball is my job. I would love to come to Cali to play some pro ball. My email address is qlb24@yahoo.com. I am a 5’9 point guard from the South Bronx. If there are any teams out there seeking a point guard, then contact me ASAP. I’m 6ft shooting guard with a mean three point shoot. I’m looking for a team to play for seeing as i been out of the game due to family problems. i train 6 days a week i train when ecer and were-ever i can. i am only 18 but im looking for a challenge. i live in Milton Keynes and if you are interested in me take a look at my profile on myspace http://www.myspace.com/mckean221 . thanks for your time. looking forward to hearing from you.. I am really serious And hungry about being and pro player overseas.I have played against plenty overseas players that’s from America and I competed with them. I’m a 6’0″ point guard that can do it all and i love playing defense. I am 6’7 sf I can do it all. I averaged 25pts a game, 10 rebs, 7blks, and 8 ast. I wanna get out of the struggle I need to make some money!!! Basketball is in me. Contact information is located above. Im from Modesto, Ca 95350 get back to me when you can. Thank you very much! !